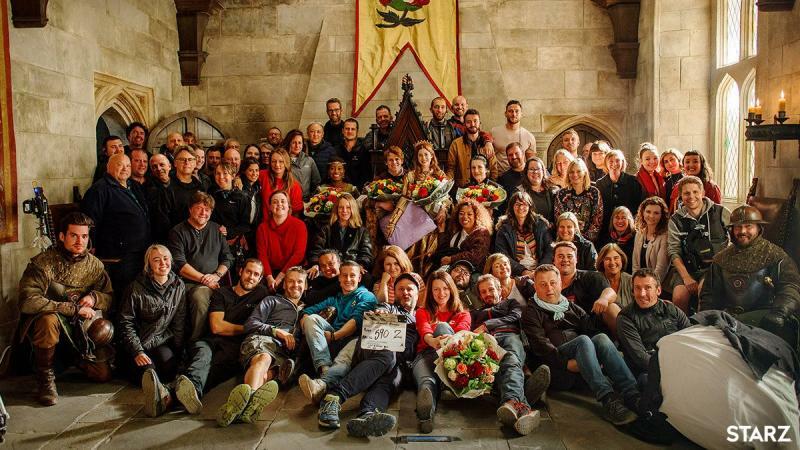 Filming for Starz Limited Series The Spanish Princess has wrapped at The Bottle Yard after a four month shoot. The follow up to STARZ’ Golden Globe and Emmy-nominated The White Queen and acclaimed series The White Princess (which was also made at The Bottle Yard), the show is produced by Playground and All3 Media’s New Pictures. Filming began in June on large-scale Palace of Westminster sets built in 30,000 sq.ft. of space in The Bottle Yard’s Export Warehouse and Tank House 1. New Pictures and Playground used production offices on site for the duration of filming in Bristol and the wider region and also used build space, stores and costume areas on site. Filming also took place at a number of historic locations in the region, including Wells and Gloucester Cathedrals and Ashton Court Estate in Bristol. The Spanish Princess is written by Emma Frost (The White Queen, The White Princess, The Man in the High Castle) and award-winning writer Matthew Graham (Life on Mars, Electric Dreams, Dr. Who), with both serving as showrunners and executive producers. Charlotte Hope stars as Catherine of Aragon. Read more about The Spanish Princess, including full cast and synopsis, here.